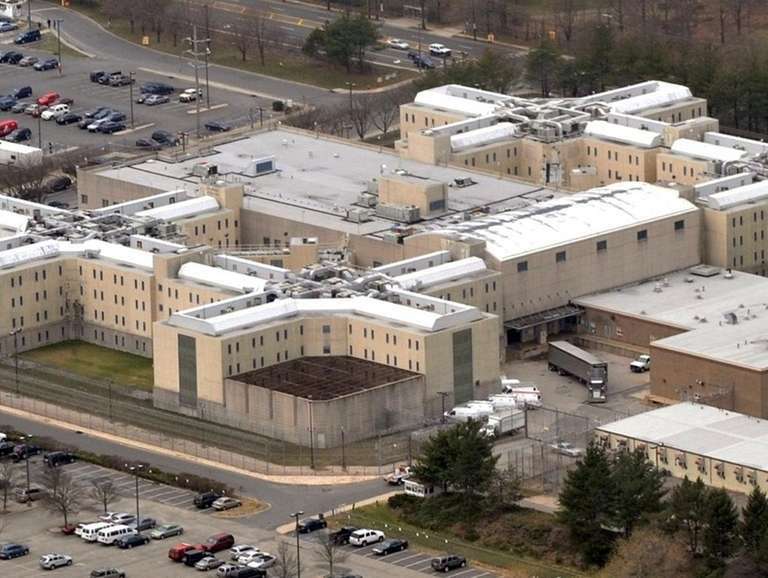 The administration of County Executive Laura Curran cited a recent ruling against Suffolk County in asking the federal agency to vacate a trailer at the county jail. Nassau County officials have given the U.S. Immigration and Customs Enforcement agency until Jan. 31 to vacate a trailer at the county jail in East Meadow, citing an appellate court ruling against a Suffolk policy of holding individuals under federal warrants. Six officials from ICE's Office of Enforcement and Removal Operations are expected to leave the trailer by Jan. 31. In November, the Appellate Division of state Supreme Court ruled 4-0 that, "the retention of prisoners, who would otherwise be released, pursuant to ICE detainers and administrative warrants is unlawful." Civil liberties proponents had sued former Suffok Sheriff Vincent DeMarco, seeking to overturn his policy of holding immigrants for deportation. ""We want to make sure that we’re complying with the law and we’re aligning what we’re doing with that law," Nassau County Executive Laura Curran, a Democrat, said Monday. "We're still going to work with our federal partners where it is appropriate. Nassau County is tough on crime." Nassau Police Commissioner Patrick Ryder said, "we’re also going to make sure the community trust is rebuilt." In a Nov. 20 letter, the Nassau Sheriff's Department told ICE the appellate decision, "negates the need for your presence" at the county jail. But Thomas Decker, an ICE field office director, said in a Dec. 14 letter that the county had gone too far. “I do not feel that it is so far-reaching that it should be cause for elimination of our cooperative efforts that have been forged and burnished over decades," Decker said of the court ruling. Nassau had set a deadline of last Dec. 28 of last year, but granted an extension until Jan. 31. Decker had requested a 60-day extension. Decker said ICE wanted to ensure that, “criminal and deportable alien gang members are not released into the communities of Nassau County when a lawful and efficacious manner to remove them . . . is available." Decker said, "threats posed by foreign based criminal organizations operating in the United States are real." He cited the “threat posed by MS-13 gang members" on Long Island. Majority Republicans in the county Legislature are scheduled to hold a news conference Tuesday to call on the Curran administration to delay ICE's removal. Rep. Thomas Suozzi (D-Glen Cove) called the ruling, "actually a positive development for the community policing efforts for Nassau County . . . The presence of the trailer at the jail was creating an impression that the county was involved in the deportation business." But Rep. Peter King (R-Seaford) said, "I strongly believe that ICE should be kept at the correctional center. I believe that the correctional center and ICE should try to negotiate a partnership . . . " For instance, ICE could point out which prisoners are in MS-13, King said. Michael Sharkey, Suffolk's chief deputy sheriff, said ICE has staff in a trailer on the campus of a county correctional facility in Yaphank. "There’s no plans at this point to ask them to leave," he said.